I just recently bought a secondhand Honda Ex3 Malaysia Motorcycle. After having its engine and other mechanical parts restored to its optimum condition, the next thing I had in mind is to add aesthetic lighting. 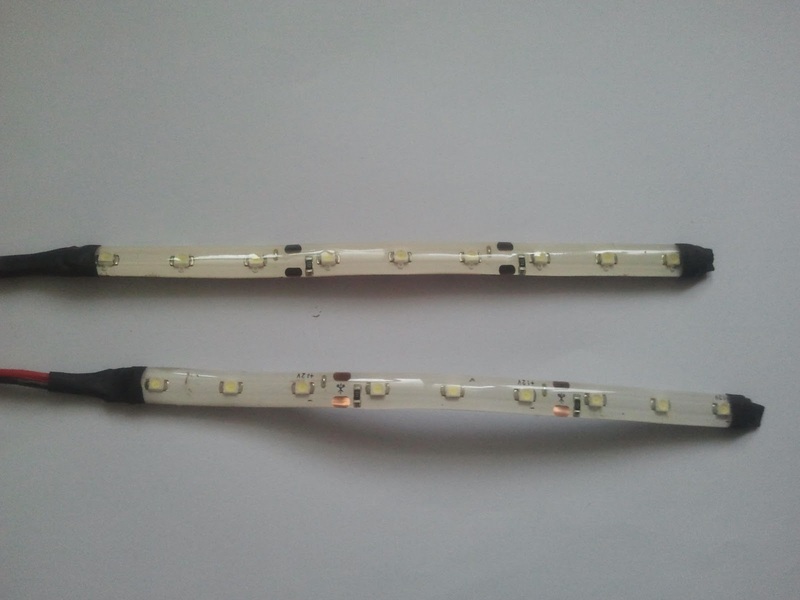 I went to a local electronics store and found these 12V DC Operated LED Strip. These are perfect for what I had in mind. 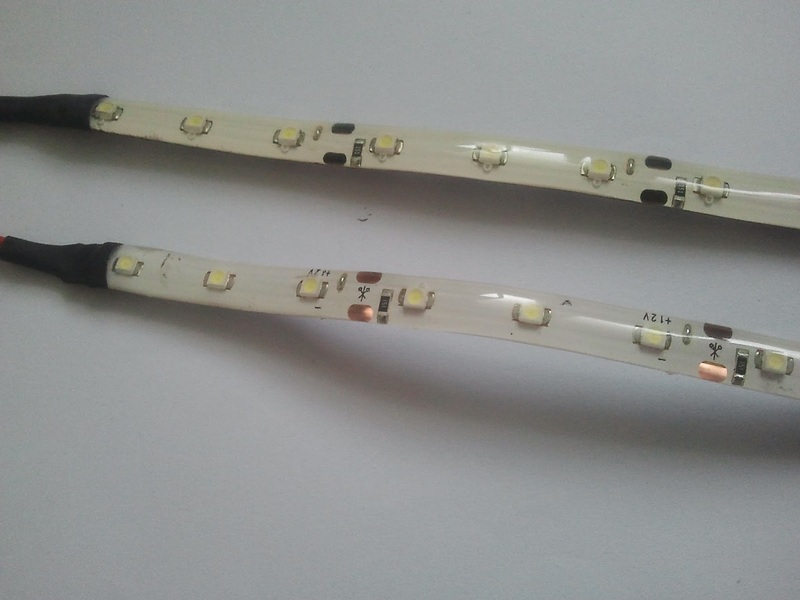 These LED strip are low profile and sealed. 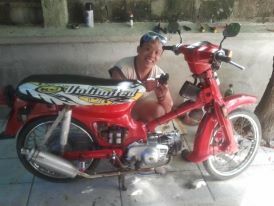 Unfortunately, they operate at 12V DC while my motorcycle electrical system can only supply a maximum of 6V DC. Luckily, I remembered the voltage doubler circuit introduced to us in our Electronics class during my college years. The voltage doubler circuit introduced to us at that time needs an AC input. Though its not the right circuit for my problem but it gave me a reason to look for a voltage doubler circuit that works with DC input. 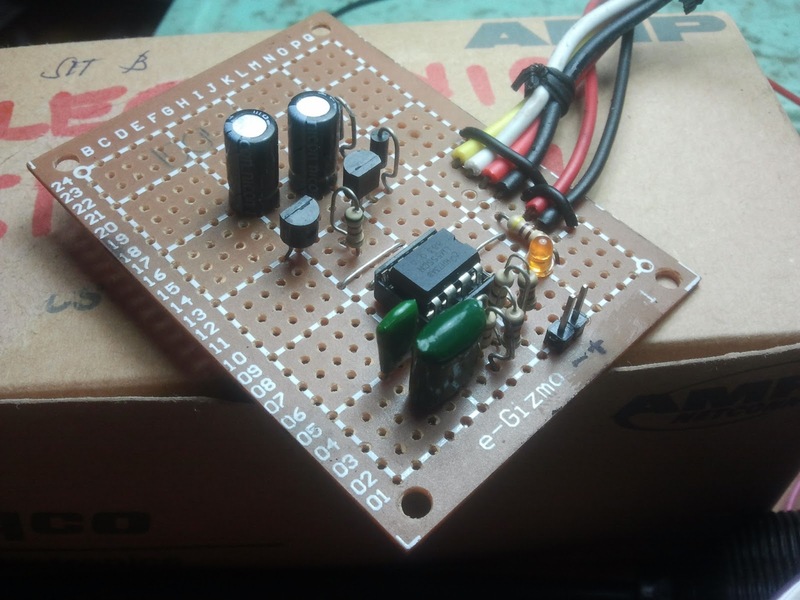 The search led me to this very cool site full of interesting useful circuits, the http://www.electroschematics.com. 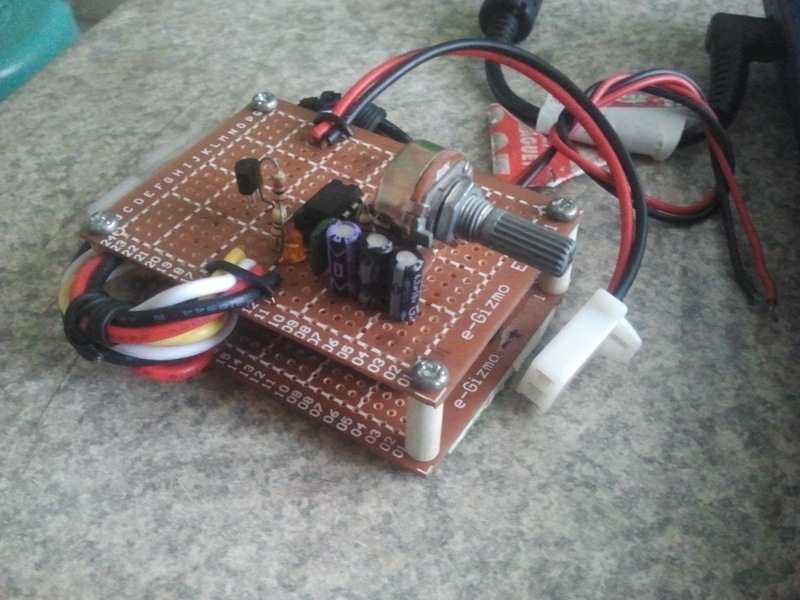 Out from which I got this circuit http://www.electroschematics.com/648/555-voltage-doubler/. 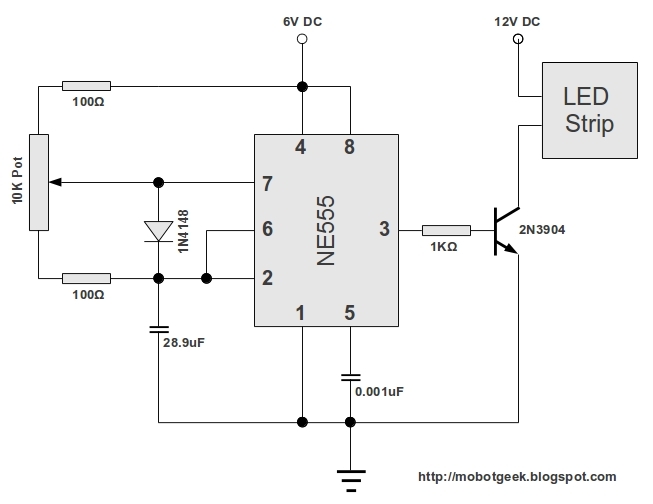 This site did not only post the circuit schematics but also a detailed description of how the circuit works. 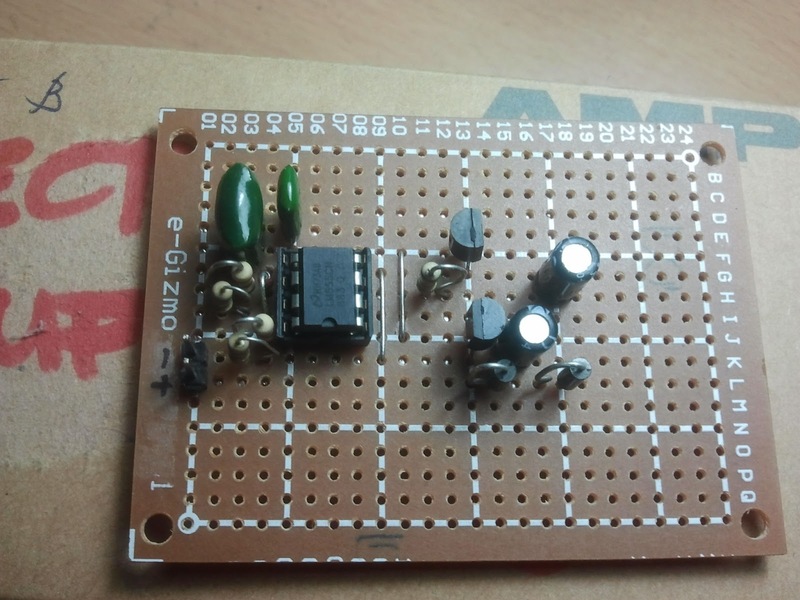 Since some of the components shown in the circuit schematics is not locally available, I had to replace them with similar components that are available here in my place. The schematics of the modified circuit is shown in figure below. Bought and soldered all components into a perforated board. The resulting circuit is shown in the following figures. 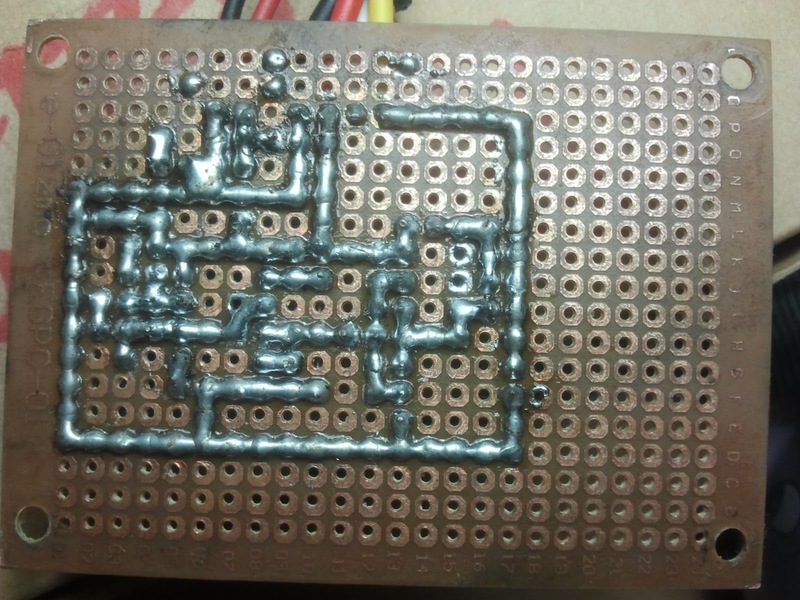 The last picture shown above shows the copper portion of the perforated board and the solder bridges made to connect the pins of the circuit components. 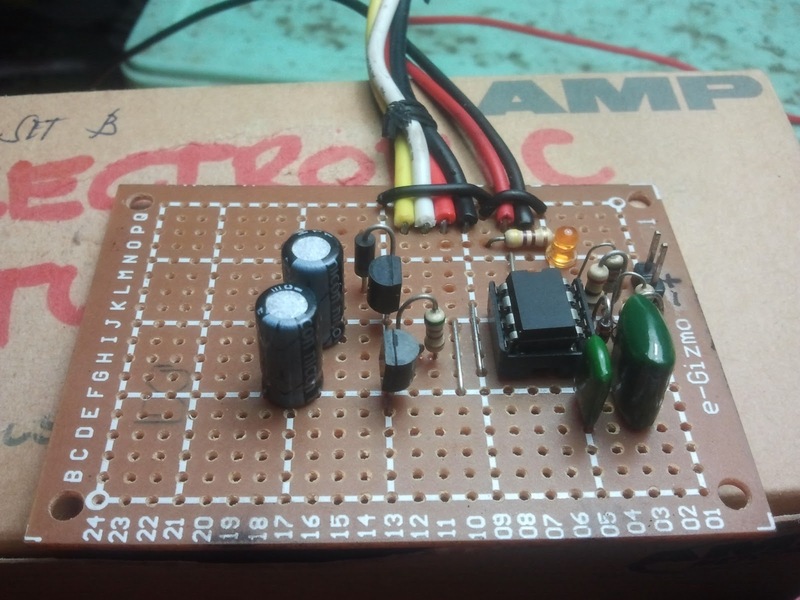 I tested this circuit using a 5V DC input. The output voltage measured, using my analog multimeter, is 8V. 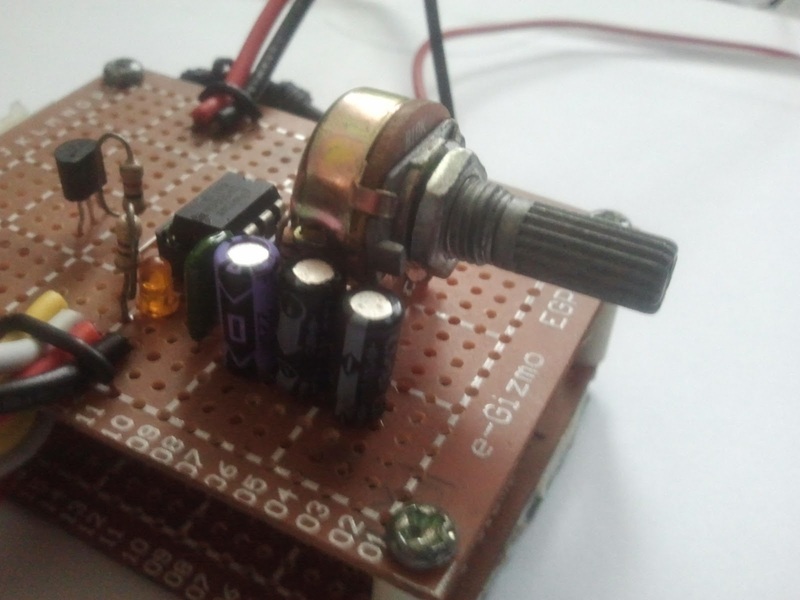 Theoretically, it should have been 10V but due to the diode and transistor P-N junction threshold voltages, the output voltage is minimized to 8V. 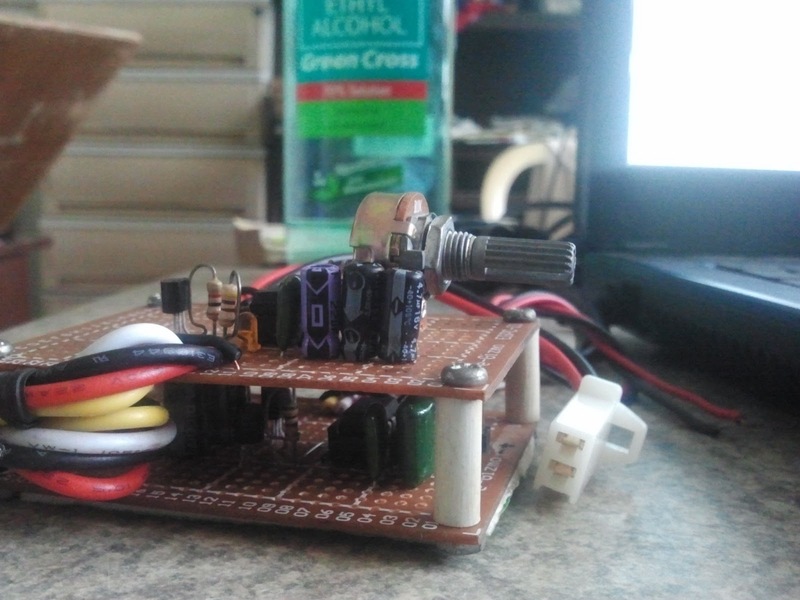 Tested this circuit again using the battery of my motorcycle and with the LED Strips connected to the output port. As can be observed, the LED Strip lights up brightly. 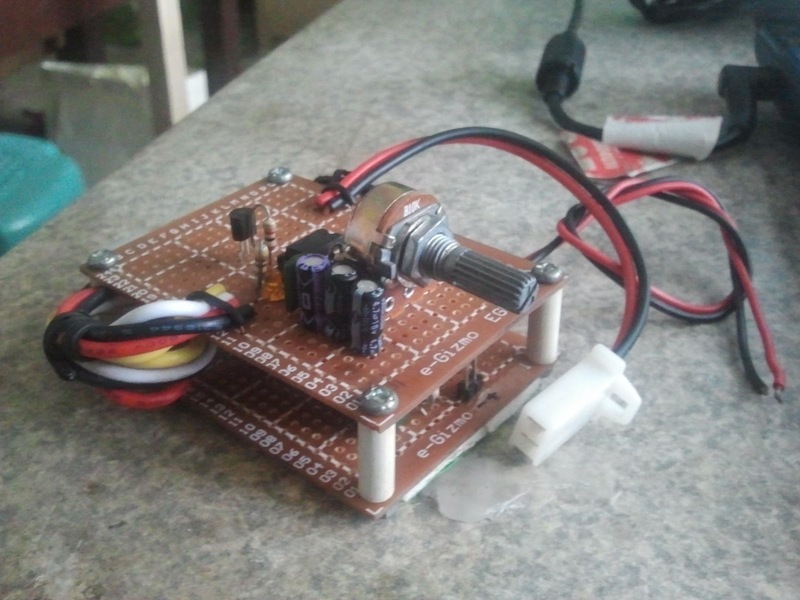 The power supply part is done. 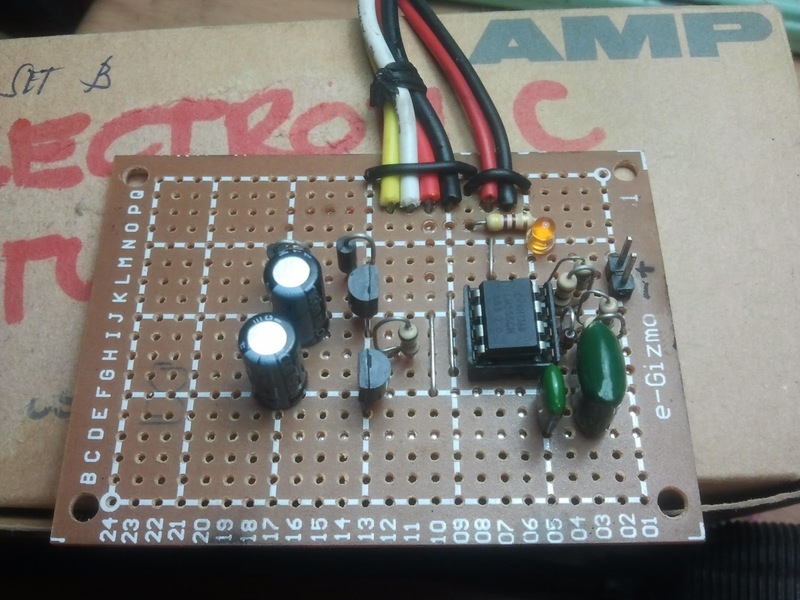 The next part is the strobe controller which I will be calling as Alitaptap. Alitaptap is the Filipino term for firefly. 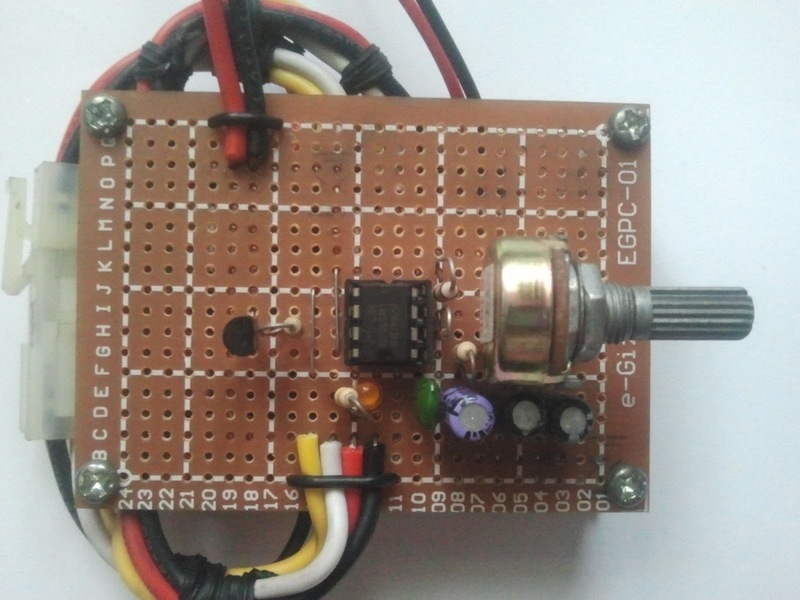 I have decided to make one out of the NE555 Timer in Astable Multivibrator (with diode) Configuration. 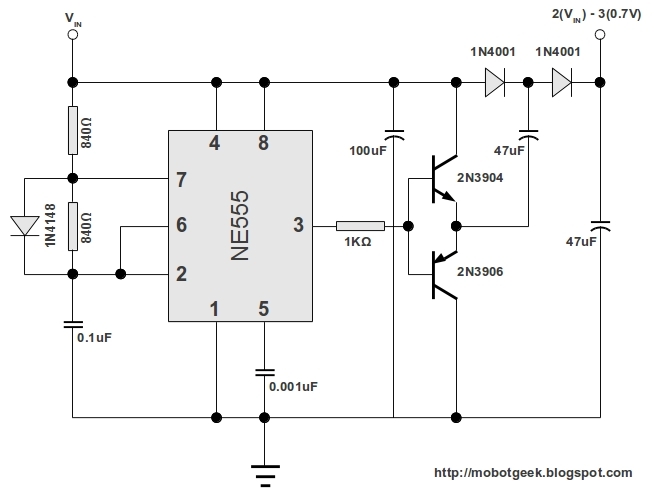 The circuit schematics is shown below. 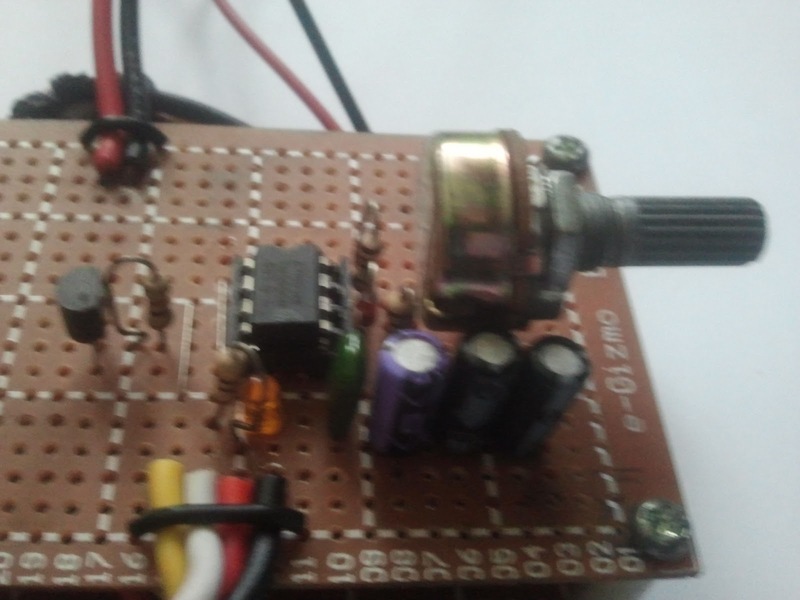 This circuit is the same with the clock generator part of the voltage doubler circuit shown previously. 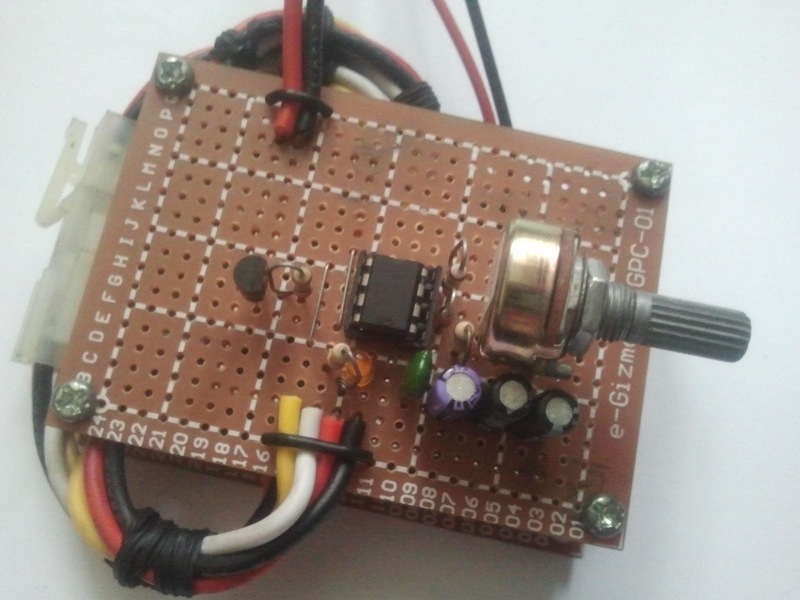 Its only difference is that of its output frequency which is lower than that of the previous circuit. 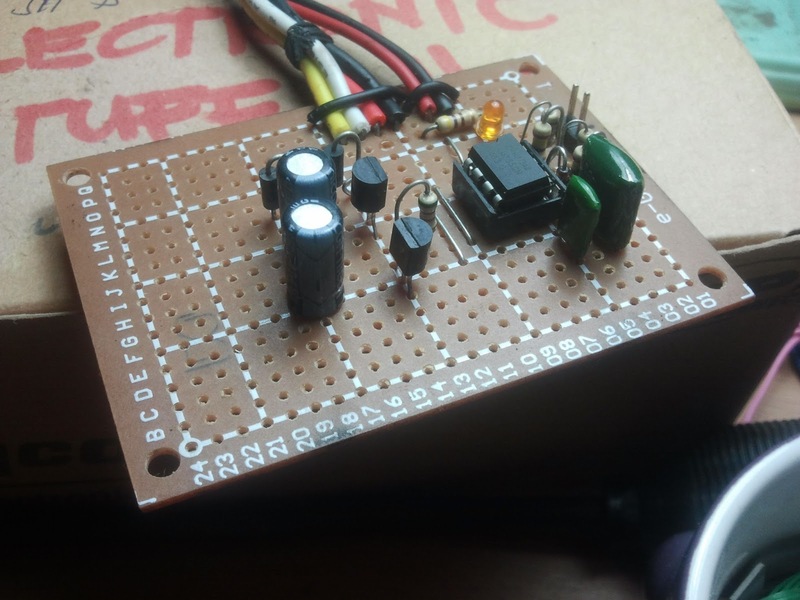 I have included a potentiometer or variable resistor into it to allow for adjustments of the output Duty Cycle or simply put the ration between the on time and the total period. In summary the Alitaptap strobe light controller is a Fixed-Frequency-Variable-Duty-Cycle-NE555 Based Astable Multivibrator circuit. Assembled it on a perforated board. The resulting circuit is shown in the following pictures. 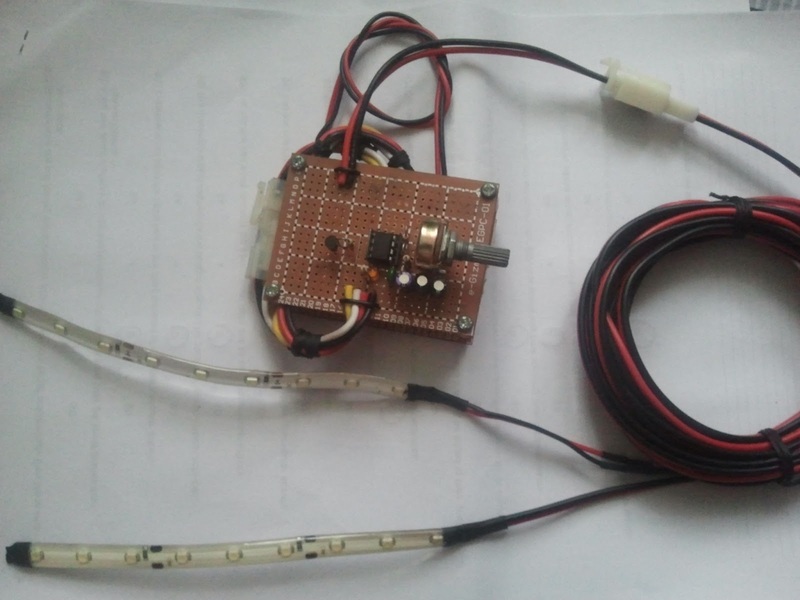 The complete device, which is composed of the voltage doubler from http://www.electroschematics.com, the Alitaptap strobe light controller and the LED strip, is shown in the following pictures. Pictures of how I installed the whole device into my motor cycle will be posted later. Thank you for reading once again. GOOD WORK.....Keep it UP !!! Which Resistor chaged to Veriable POT??? Thabks for the comment. The resistor replaced can be shown in the second circuit schematic. in what way can I help you? LED Strobe Light I picked up 3 of these for a haunted house we built. We hung one from the ceiling, put one behind some sheets and put one in a pumpkin at the entrance. They work. LED Strobe Light We got a couple of these to add to our band's stage lights. We use them more like accent lights. They're small and really affordable. We like them. strobe light I'm a mobile DJ and I'm always looking for extra gear. These are very light and travel well. A nice addition to my rack. 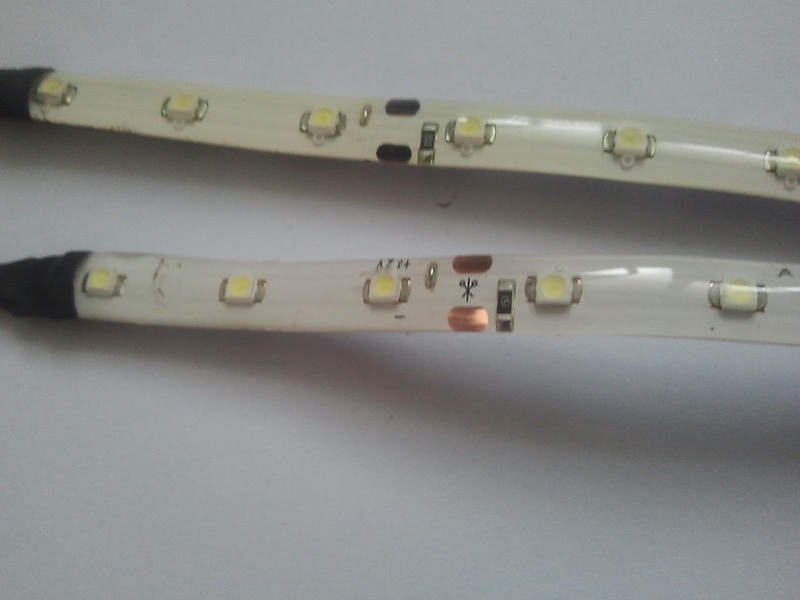 Use High Quality Led pod lights and strip Lighting Kits to Equip your car, motorcycle, boat, trucks & SUVs from best led light seller “Moto Led Light kits” (MLLK). Can I use other 555 timer?